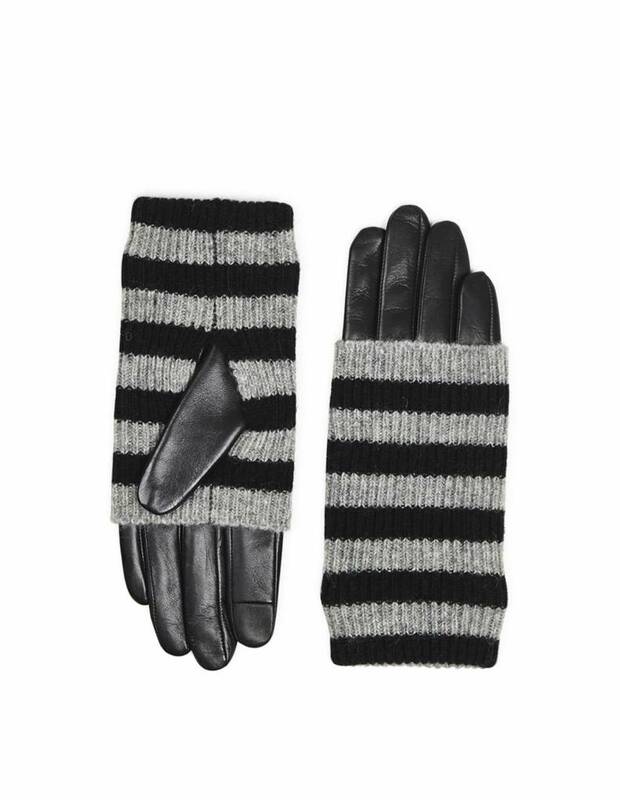 helly gloves grey/black striped - robins hood - dutch design - interior - accessories - vintage. 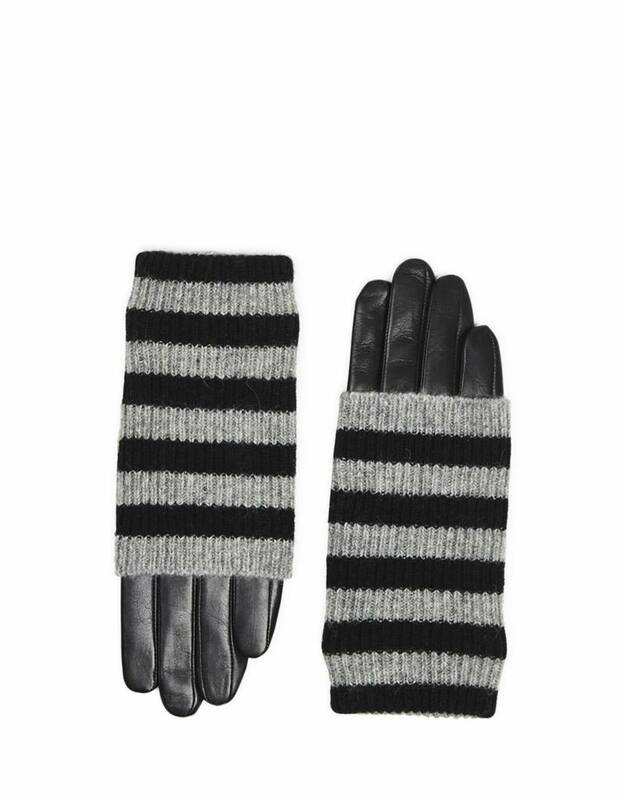 these gloves are handmade from leather and have a fine, minimalistic look. super stylish, super comfy with a knitted cuff. material: soft, genuine sheep leather with wool. simply an eyecatcher around your hands, these gloves stand out in style. these luxurious gloves are handmade from leather and have a fine, minimalistic look.